Wiley X®, Inc. has added a new version of its popular WX Boss Climate Control™ sunglass that is sure to hit the mark with those who love to hunt, shoot and fish. The new WX Boss combines Wiley X’s advanced Polarized Venice Gold Mirror Lenses with a frame dressed in Kryptek® Highlander® camouflage. Unlike traditional leaf and stick camouflage, Kryptek’s design incorporates micro and macro layering inspired by artillery camouflage netting. The result is a 3D appearance on a 2D surface and the ability to increase stealth while pursuing a wide range of quarry in mixed terrain. To deliver the sharp vision needed to stalk prey on land or water, this unique frame is fitted with Wiley X’s Polarized Venice Gold Mirror Lenses. These lenses combine an Amber tint, 12% light transmission and advanced 8-layer polarization for superior glare cutting performance in highly reflective environments. This combination is particularly ideal for sunny conditions, fishing in shallow waters and target shooting. Wiley X’s T-Shell™ coating resists scratching in extreme environments, ensuring long-term durability in real-world outdoor conditions. Like all models in Wiley X’s popular Climate Control™ sunglass family, this new version of the WX Boss features a patented, soft removable Facial Cavity™ seal that blocks out peripheral light, wind and airborne debris. This exclusive design provides wearers with enhanced vision, improved eye comfort and superior protection in the Great Outdoors. The Wiley X name is known around the world for Absolute Premium Protection, so the WX Boss is more than a match for any outdoor challenge. Wiley X’s shatterproof Selenite™ Polycarbonate lenses provide 100% protection against harmful UVA/UVB rays and distortion-free clarity. These glasses meet stringent ANZI Z87.1 High Velocity and High Mass Impact safety standards for OSHA-grade protection, providing state-of-the-art vision protection for hunters, shooting sports enthusiasts, anglers and other outdoor adventurers. Wiley X is the only premium sunglass brand with this level of protection in every adult style it makes, a key reason why the company has been a leading provider of protective eyewear to the U.S. military, law enforcement and other tactical users for 30 years. 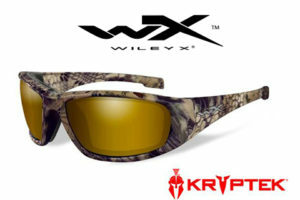 Like almost all Wiley X sunglass styles, the WX Boss in Kryptek® Highlander® camo is Rx-Ready. Prescription Wiley X shades made with Wiley X’s exclusive DIGIFORCE™ digital Rx lens technology ensure superior prescription accuracy and unparalleled visual clarity over the widest possible field of vision. This level of visual performance combined with the most advanced eye protection available makes the WX Boss a great choice for outdoor sportsmen and adventurers who need prescription lenses. 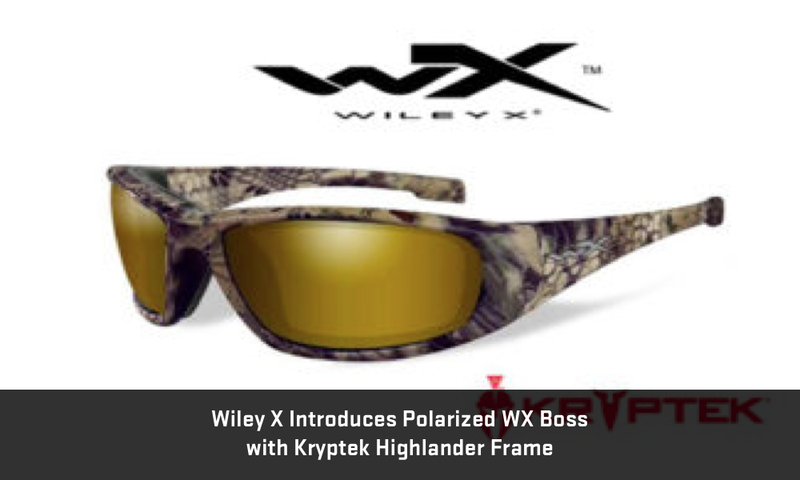 To learn more about the new Polarized WX Boss in Kryptek® Highlander® camo, or Wiley X’s complete line of eyewear offering Absolute Premium Protection, visit online at www.wileyx.com. Or contact Wiley X at 7800 Patterson Pass Road, Livermore, CA 94550 • Telephone: (800) 776-7842.